What Made Walt Disney Successful? Walt Disney's success was a combination of luck, timing, an excellent head for business and an intuitive sense of what appealed to his audience. Above all, he loved what he did. Although he reputedly was a good animator, he wasn't a genius of animation. Someone else, for example, created Mickey Mouse. But if a film producer's success is measured in hits, Walt Disney was almost certainly the most successful animation producer in the history of film. Disney's story has been told many times. Accounts differ. In some, he was a ruthless businessman and an exploiter of others; in others, he was Uncle Walt with enough child in him to maintain the necessary vital connection with his stories. But a constant in all these accounts are a couple of biographical facts that suggest he was lucky and he landed in the right place at the right time. Walt and his brother Roy, after failing at several attempts to build animation businesses in the Midwest, moved in near desperation to Hollywood. There, they caught the interest of the producer who landed the Disneys their first viable production contract. If they'd been successful enough to keep the animation business going in Chicago, this may never have happened. When Walt and Roy moved to Hollywood, Walt's childhood friend Ub Iwerks decided to come along. He just happened to be a great animator. Shortly after they arrived, Iwerks drew Mickey Mouse. Stories of successful entrepreneurs tend to repeat certain themes. One of them is the resolve to keep going even after numerous defeats. By the time Disney moved to Hollywood, few who knew his history of failure thought there was much chance he'd do any better than in Chicago. Even Roy and his own wife urged him to give up on the Snow White story after, once again, Walt ran out of money early in production. Another quality Disney had that runs through many accounts of successful entrepreneurs is leadership. At critical times early in his career after many failures, he persuaded financial backers to believe in his eventual success. Iwerks drew the first Mickey but it was Walt who had the idea for the mouse and who convinced Iwerks to create a Mickey aligned with Walt's vision. Throughout Walt's career, he retained a passionate interest in entertaining his audience. He confided that whenever he got on a Disney ride, the thought that occupied him every time was how to make it better. This sense of audience drove Disney to do whatever it took to create the very best performance, experience, cartoon or ride possible. Although by reputation Walt was not always a warm and loving man in close quarters, pleasing the audience remained an important motivation throughout Disney's long career. 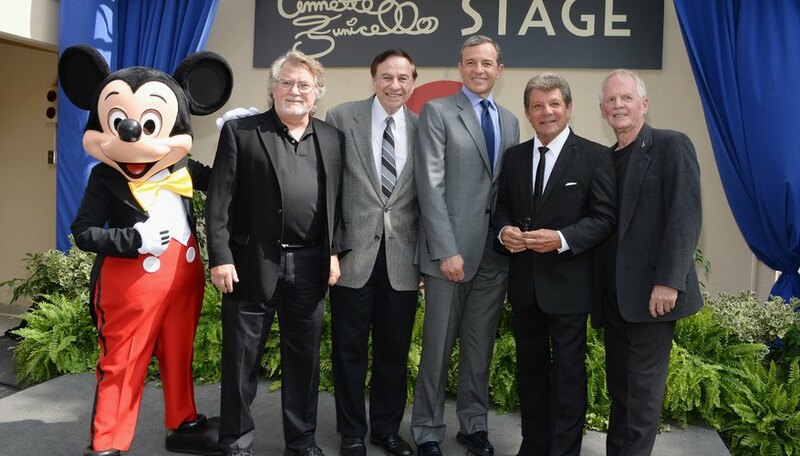 His employees sometimes referred to Disney's drive to produce the very best as "The Franchise." "Love What You Do ..."
The old saying, "Love what you do and you'll never have to work another day in your life" applied to Walt. Hollywood is a place where many talented artists eventually burn out. Walt kept his company going and was increasingly active in expanding the Disney experience beyond film into theme parks and even utopian communities for more than 40 years. By the time he died, he'd earned more nominations and won more Academy awards than anyone else in history. The Desert Sun: Ask Will -- Walt Disney's Last Words Were ... What? What Contributions Has Pixar Made to the Field of Animation?